Hail season is in full swing here in North Texas so that means that many roofs will need to be replaced. 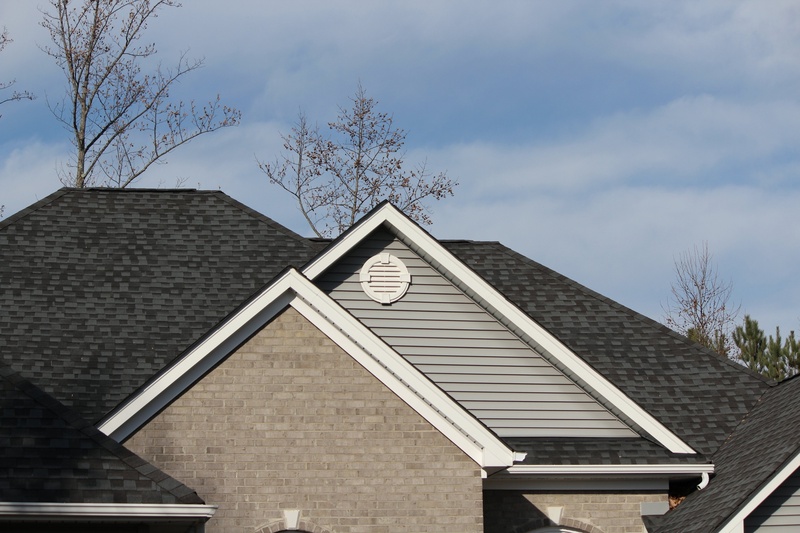 As you try to determine whether your roof needs to be repaired or replaced, it’s important to make sure that you don’t fall prey to a roofing scam. Here are some of the most common scams and ways that you can avoid being taken advantage of. A very common scam after a big storm involves a door-to-door salesperson who knocks on the door offering a free roof inspection. They may indicate that they see damage from the ground and need to get on the roof to investigate it fully. Sometimes, when they get on the roof, they actually cause additional damage to simulate storm damage in hopes of having enough damage to warrant an insurance claim. They may also tell you that their price is good only for today and try to pressure you into signing something to lock in the price. These are companies that move from city to city as hail storms pass through. They may also work in conjunction with a door-to-door salesperson. Since they may not have a business location in your town, they may not have insurance and they have no incentive to do quality work because they’ll be gone to the next town before you realize it. Sometimes a contractor will offer you a lowball price in order to get the job but once they get to the actual work, they will find more “damage” and require more money from you in order to finish the work. 1. Investigate any roofing companies thoroughly prior to allowing them to inspect your roof. 2. Don’t sign anything until you’ve done your due diligence and investigated the company. Read internet reviews, check with the Better Business Bureau and ask the company for references. 3. Consider getting a second (and maybe a third) estimate before you decide on a company to do the work. 4. Have your insurance company inspect the roof before you sign anything so that you’ll know how much they are willing to pay out on the damage. 5. If you don’t feel comfortable signing something, don’t! Tell them you need to read it thoroughly and you will get back to them. A legitimate company should be willing to wait and won’t use high pressure tactics to get you to sign. 6. Do not pay before the work is done. Reputable roofing companies will take payment upon completion of the work and most won’t even require a down payment. 7. Ask how they handle deck damage. Since it’s under the shingles, it may not be apparent on a visual inspection. The company’s policy on charges for deck damage should be addressed in the contract and should be the only issue that would warrant an increase in their initial bid. If you need a referral to a reputable roofing company, please give us a call at 817-330-9235. We’d love to share our roofing partners with you.